Tag "Ten Most Important Comics"
The 1990s was an incredible decade for comics. More people were buying and reading them than ever before and, in turn, more new publishers and new titles came into being. We had the formation of the superstar independent in Image Comics and the birth of the still unequaled VALIANT Universe, a high water mark in storytelling, as well as a host of others trying to imitate the two. Gimmick covers and variants were all the rage, but we loved them and (don't tell Marvel) we still do. We were all going to be rich because the generic hot book of the week was going to be the next big thing. Well hindsight is 20/20 and with that in mind, let's chart the Ten Most Important Comic Books of the 1990s. Authority #1 is very similar to the number one book on this list. Both books changed the way superhero teams are written, they both caused a storm when they were released, and they both brought a modern reality to comics. So, why isn't this book Number 1? Well, while the impact of the Authority in all three aspects is not as great as the Number 1 book, there is also one additional and very telling difference. 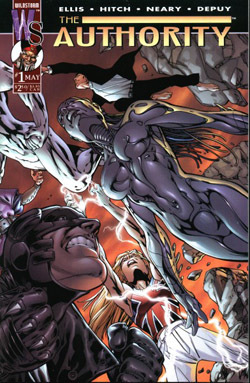 In re-creating Stormwatch for the Authority, Warren Ellis fashioned characters who took matters into their own hands, cutting through the politics dealt with by the JLA and the Avengers. Both of those books, and a host of others, have adopted this approach since Ellis pioneered it, but that's where the innovation ends. The Authority is a really fun comic book that looks and feels like a blockbuster movie -- something enjoyable like Bad Boys 2 -- but not a piece of art, and certainly, not a masterpiece. Nevertheless, the innovations in illustrations and writing, and the subsequent influence on similar books, make Authority #1 a worthy entry at Number 10. Produced under the Marvel Knights banner, Daredevil #1 was a harbinger of things to come. Joe Quesada proved he had the skills required to innovate the production process, reimagine an ailing icon, and still keep fans happy. 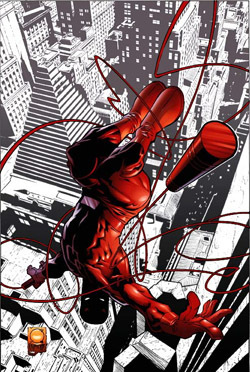 Daredevil #1 was a key moment on his journey to the top of Marvel's creative mountain and a forerunner for the Ultimate line. But, even more important, is the other half of the book's creative team. Long time comic book fan and successful filmmaker, Kevin Smith, blazed a trail for writers from outside the medium. Before Joss Whedon, Bryan Singer, Brad Meltzer and Orson Scott Card could make waves, Kevin Smith had to prove that fans would accept an outsider. Smith was also crucial to the formation of Hollywood's current love affair with comics. He showed studios and the world that comics were cool, both through his work writing the book, and in associating himself with the medium. The best single issue of the decade and number four on Wizard's list of the top ten best comics over the last fifteen years. Jim Shooter, Barry Windsor-Smith and Bob Layton, all at the peak of their powers, tell the story of the birth and death, and then birth again of the VALIANT universe. Originally serialized in the first ten issues of Solar Man of the Atom, the story set the tone for every science fiction and superpowered book that has come since. Shooter used real science, and even explained complex ideas, to firmly ground his epic. But, the real genius of the book is its focus on one man, Phil Seleski, and his struggle to come to terms with waking up to find he has the power of a god. Barry Windsor-Smith provides his best work since the final issue of his Conan run, while Jim Shooter only had to wait six months to top this (but we'll get to that). In Astro City, Kurk Busiek created a series based on good writing and accessibility. It sparked a trend in which collectors started reading Image books for the first time and, more importantly, brought a new audience into comics. Astro City made fans of those who had never, and probably would never, have read a comic otherwise. Core titles such as Spider-man, X-Men and Superman have a steep learning curve for new readers due to their lengthy histories and the inaccessibility of the comic book medium. 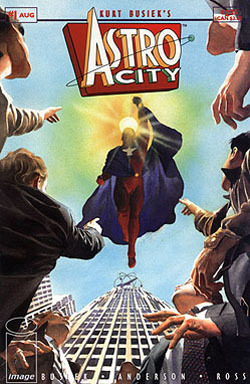 In Astro City, each issue is a new beginning and is presented without many of the visual and narrative shortcuts that are conventions of the comic book medium but confusing for many first-time comic readers. The first superhero book published by VALIANT Comics marks the birth of the only publisher to have ever seriously given Marvel and DC a run for their money. VALIANT did what Image was supposed to do: Create a roster of completely original characters under a shared universe, and they succeeded with both style and swagger. VALIANT came out of the gate with a winning formula -- a top quality product with great storytelling. The VALIANT name soon became associated with quality and everything they did turned out golden. VALIANT was the Gucci of the comics industry. Jim Shooter began the famous Steel Nation story line in Magnus #1 and it ranks among the best of all time (#17 according to Wizard's Top 100 Trade paperbacks). Magnus #1 would have placed higher but it only set in motion what would eventually spark a revolution. 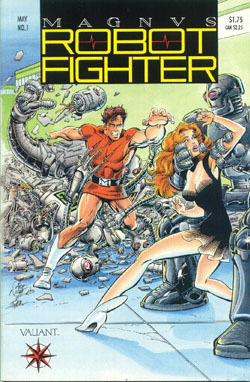 Marvel gave this mini-series the royal treatment with high quality paper and a transparent acetate cover, but the real quality was from the creative team. Following the approach pioneered by VALIANT Comics, Kurk Busiek chronicled the beginnings of the Marvel universe in a distinctly real setting. We see the first Marvel heroes interact with a world that isn't used to superpowers or heroism. More interestingly, and probably more importantly, this book was fully painted by (and marks the break-out of) Alex Ross. Ross has since gone on to define comics for a generation of readers and creators with his vividly realistic paintings. Like the greats before him (Kirby, Steranko, Miller, etc. ), Ross has since become a public figure and a respected artist throughout the world -- but it all started right here. Marvel found a winning formula with Spider-Man #1 and repeated it less than a year later, but this time they pulled out all the stops. They united one of the hottest artists in the field, Jim Lee, with one of the hottest properties, the X-Men, in a new series with five different covers on the first issue. The comic had one of the biggest marketing campaigns in comics history: Marvel was aiming to break records, and break records they did. X-Men #1 still stands as the highest print-ordered comic in history with more than eight million copies in all versions. Among collectors, the pairing of Lee and the X-Men further established the mental association of a big talent on a popular book equaling a good product, which led to a string of new short-lived titles with big-name creators. More importantly, it proved the power of the industry's superstar artists and set the stage for their eventual departure and the formation of Image Comics. As the story goes, the day Superman #75 hit the stands there were lines outside comic shops across the country. The Death of Superman was a major news story that was covered by the likes of CNN and Time magazine. It was the death of an icon -- probably the most famous character in all of comicdom. In hindsight, it was nothing more than a publicity stunt by DC, but it worked spectacularly. Superman #75 had one of the largest audiences in comics' history, and in turn, one of the largest print runs. Suddenly everybody was collecting comics and the hobby was flooded with speculators. Sports card dealers (who had just suffered a huge crash in their own market) shifted their attention to comics, creating a vast new audience. The entire industry benefited, but at a great cost: Event books and gimmicks were all the rage, and The Death of Superman was soon followed by major changes to almost every character conceivable -- most memorably Batman, Green Lantern and Daredevil. The flashy covers and excessive hype got old quickly and much of the new audience moved onto the next hottest craze, sending the industry into a low it's still struggling to overcome. 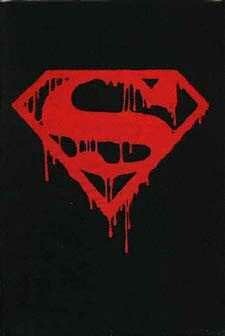 Eventually, Superman did return, but Superman #75 still stands as a unique moment in the decade - when the eyes of the world were focused on comic books, a feat not repeated until the opening weekend of the first Spider-Man movie. At the height of his popularity, Todd McFarlane left Marvel and Spider-Man behind to create his own character. 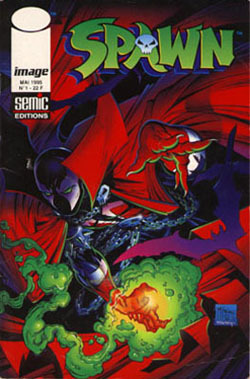 Spawn's inaugural issue was one of the top selling comics in history, and unlike a number of other Image creations, has stood the test of time -- the book just reached its 150th issue. But, McFarlane did more than create a hit book with Spawn. Spawn #1 is the book that built an empire. MacFarlane has since added to his publishing wing by forming a major toy company built on the Spawn characters and a multimedia division that has produced a Spawn animated series and a movie. Often recognized as one of the most important characters created since Stan Lee and Jack Kirby created the Marvel icons, Spawn might have nabbed the number one spot on this list had the character been a more exceptional creation. But the book's writing was never a big part of its success. As part of the first wave of books released under the Image Comics banner, Spawn #1 is a marker of an event that changed the face of the comics industry. Image comics is the creator-owned start-up founded by the seven, now famous and, in some cases infamous, superstar artists of the comics world. Image was supposed to break up the monopoly of Marvel and DC, and for a while it looked like it might. Today, Image continues to provide creators with an alternative publishing route for their properties and remains a symbol of independence for the industry. In the editorial, VALIANT's Editor in Chief, Jim Shooter, tells us that the book we hold in our hands is the most important since Avengers #1. Thirteen years later and I'm still not sure that he was wrong. When this book was first released it was a national sensation. Every kid worth his polybag and backing board just had to have one, and the resulting frenzy sent the book to the top of Wizard's Top Ten Hottest Books List for a then-record four months. What's more, the demand didn't stop even when the book began selling for well over $100. When it was good, Harbinger was without a doubt one of the best written books in comics history. The first story line ( Children of the Eighth Day) deserves to be uttered in the same breath as the masterpieces of the art form; Watchmen, Maus, Dark Knight Returns, etc.. 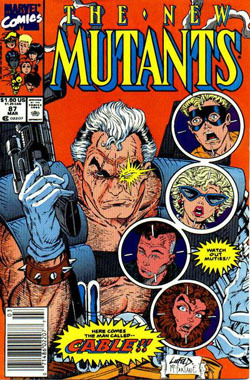 The book's creative team reinvented the genre popularized by the X-Men. The good guys did unforgivable things, the bad guys were usually more right then the good guys, and best of all, they behaved like real people would -- In the VALIANT Universe, when you want to kill your enemy, you don't challenge him to a stand-off at your base on the moon (this is actually a plot involving the X-Men), you send someone he trusts to shoot him in the back of the head. Things happen in Harbinger that would never happen in an X-Men book (for those that know Harbinger think Torque), but happen all the time in the movies and other arts, and definitely in real life. Most importantly, Harbinger was the book that sparked a revolution in comics. Harbinger was the Pulp Fiction of the comics industry -- an indie critical and commercial smash hit that changed all the rules and broke down the door for a host of independent talent. Without Harbinger, VALIANT wouldn't have become the third largest publisher as quickly as it did. Without Harbinger, there wouldn't have been an Ultraverse Universe or a Crossgen Universe. Without Harbinger, there wouldn't have been a wake-up call for the rest of the industry to move away from gimmicks and hype, and back to quality story-telling. Adventures of Superman #500 (DC) - The sequel to Superman #75 with equally high orders, the book's poor quality left a bad taste in readers mouths' and set the ball rolling that would crash the industry. Bloodshot #1 (VALIANT) - The day Death of Superman hit the stands there wasn't one line outside comic shops across the country, there were two -- one for Superman and one for Bloodshot. Bone #1 - The biggest consistently successful independent book and the second independent book to achieve success after Cerebus. Dark Horse Presents 5th Anniversary Special (Dark Horse) - The first appearance of Sin City. Miller's creation has shown outsiders that comics are more than superheroes. 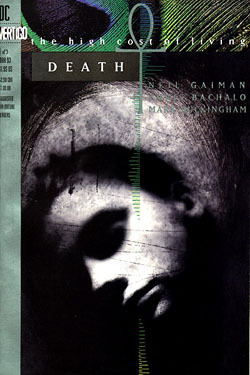 Death, the High Cost of Living #1 (Vertigo) - The first book published under the Vertigo Comics banner. Gen 13 #1 (Image) - The second hoorah of the bad girl craze and the beginning of a new slate of successful Image books. Harbinger #0 Pink Cover (VALIANT) - The most sought-after variant of the decade and the hardest book to find from the most sought-after story-line of the decade. Kingdom Come #1 (DC) - Cemented Alex Ross as the artist of the decade and pushed the back-to-basics writing approach into overdrive. Lady Death #1 (Chaos) - The start of the Bad Girl craze. Although predated by the Vamperilla mini-series, the success of Lady Death came first. New Mutants #87 (Marvel) - The first appearance of Cable, a major X-Men character and one of the most sought-after books of the decade. 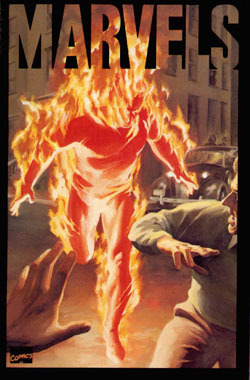 Next Men #21 (Image) - The first appearance of Hellboy. A fan favorite, critical darling and blockbuster movie star. Preacher #1 (Vertigo) - The most popular book from the Vertigo line. Preacher made writer Garth Ennis and his writing style famous. Prime #1 (Ultraverse) - From the success of Image comics, Malibu formed Ultraverse and spent millions on marketing. 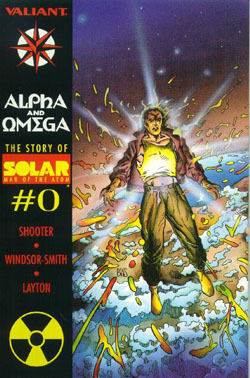 Prime #1 was the flagship title and ultimately led to the computer coloring revolution. 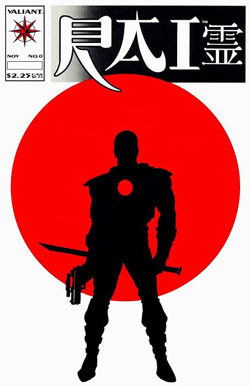 Rai #0 (VALIANT) - Innovations galore (enough for its own article), the bible of the VALIANT universe and possibly the best cover of the decade. This was one of the most sought-after books from Rai, one of the most famous characters of the decade, and a strong contender for the ten most important comic books of the decade. Spider-Man #1 (Marvel) - Paired together Todd McFarlane and Spider-Man, broke a number of sales records, and set the stage for Image comics. Turok #1 (VALIANT) - One of the top ten largest print runs in history, a runaway video game success that brought gamers into the fold, and the first real sign that comic properties were viable for licensing. Unity #0 (VALIANT) - The first chapter in one of the greatest company-wide crossovers in history. Witchblade #1 (Top Cow) - The flagship and most successful book by Top Cow. Has since become a television series, animated series and is gearing up for a feature film. X-O Manowar #1 (VALIANT) - X-O Manowar is one of the most popular characters created in the past 15 years and issue #1 is his first appearance. 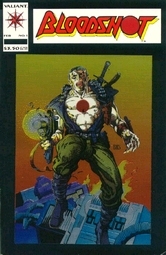 Youngblood #1 (Image) - The first book published under the Image Comics banner.